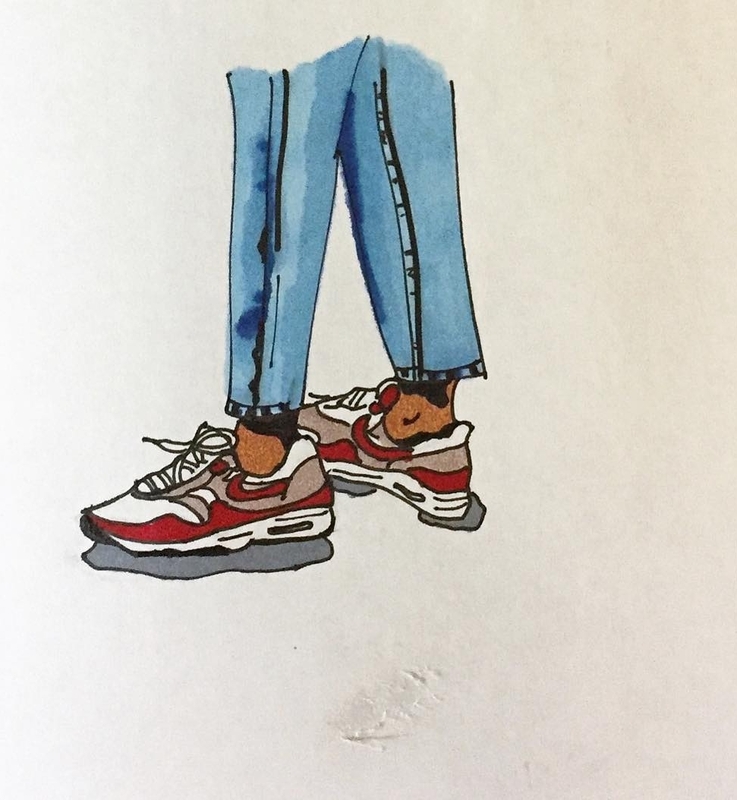 These sneakers prompted me to start drawing again; really drawing. I was in Buenos Aires for the semester and being very often alone, watched so many people. Sneaker culture is so globalized but also local, and it plays out uniquely in BA. I love sneakers, I love Nike’s. So I stuck to what I knew and looked down and drew people on the streets, the colectivo (bus), in cafes where I sat for hours. To me an isolated part of the body or an outfit can say so much; sneakers say so much.